Former England Rugby Union player Christian Wade has signed with the NFL’s Buffalo Bills, it was reported on Monday. Christian Wade has joined the league through the NFL’s International Pathway Program. The International Pathway Program provides a route into the league for foreign players. 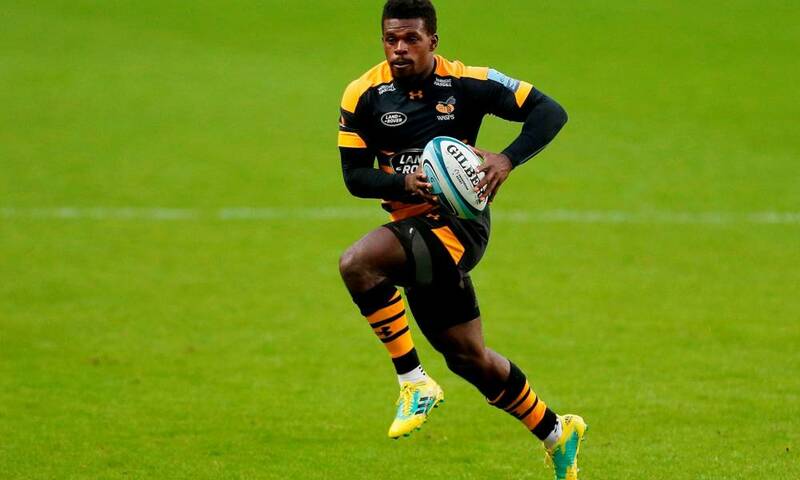 Christian Wade quit English Rugby Premiership team Wasps in October with the intention of joining the NFL. The former winger clocked a 4.53 40-yard rush at his pro day in Tampa last week. He trained alongside six other International Pathway prospects. Although the 27 year old was expected to be in the NFL draft later this month, he has signed with the Bills as a free agent. Wade will play in the NFL as a running back. “We’ve been allocated RB Christian Wade as part of the International Player Pathway program,” the Bills announced on Twitter. Wade is the fourth Rugby player to join an NFL team in history. He follows former Rugby Union players Christian Scotland-Williamson and Alex Gray, who joined the Pittsburgh Steelers and the Atlanta Falcons. As well as that, Australian Rugby League star Jordan Mailata was drafted in the 7th round by the Philadelphia Eagles in 2018. In Buffalo, Wade will join veteran running backs LeSean McCoy and Frank Gore. “Who better to learn from?” Wade said. Wade retired from the English Premiership as the third highest try scorer of all time. However, his record of 82 tries in 130 matches wasn’t enough for international recognition. Wade has only ever played for England once, during a Test match. The Bills finished last season with a 6 – 10 record. Along with the three other AFC East Teams, they have an extra spot on their roster for 2019.